TEHRAN, Iran — More than 100 nonaligned nations backed Iran's right to peaceful uses of nuclear power on Wednesday, an endorsement sought by Tehran in its standoff with the U.N. Security Council over its refusal to freeze uranium enrichment. 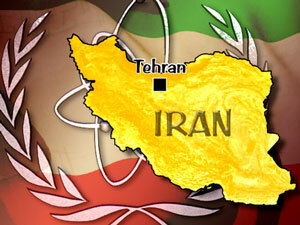 The decision came as supreme Iranian leader Ayatolla Ali Khamenei pledged to continue the country's nuclear program. Senior Iranian officials depicted the support from a high-level conference of the Nonaligned Movement as deflating claims by the U.S. and its allies that most of the international community wanted Iran to stop enrichment. The conference's backing, which echoes the group's previous declarations, acts to "remove this notion that the international community opposes the nuclear activities of Iran," said Foreign Minister Manouchehr Mottaki. Ali Ashgar Soltanieh, Iran's top representative to the International Atomic Energy Agency, said the endorsement from the 115 countries present at the Tehran conference sends a "strong positive signal that the only way is negotiation and dialogue" over the nuclear standoff. "Get the message," he said, in blunt comments indirectly aimed at the U.S. and its Western allies, the nations at the forefront of accusations that Tehran wants to build nuclear arms. "Come to the negotiating table." Support was expressed in a three-page declaration in Farsi, translated by The Associated Press. It said the conference "reaffirmed the basic and inalienable right of all states, to develop research, production and use of atomic energy for peaceful purposes." The West is seeking an agreement for Iran to curb uranium enrichment, a process that can be use to generate nuclear power or build a weapon. The U.S. and its allies say Iran is seeking to develop nuclear weapons, while Iran maintains its program is aimed at harnessing nuclear energy. The Security Council has slapped three sets of sanctions on the Islamic Republic. And a fourth set looms.